Talk about the best of the best!! 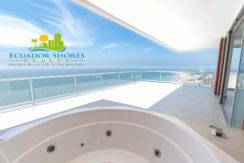 Words like “amazing, incredible, beautiful,” don’t even come close to describing this fully custom beachfront Penthouse! 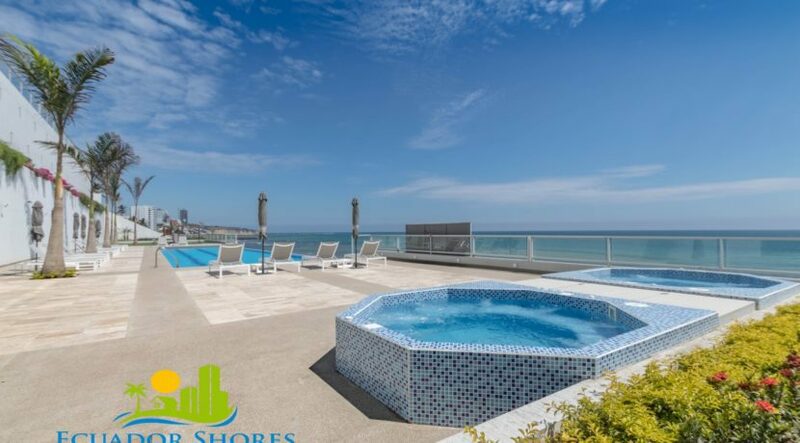 Everything about this Penthouse was custom designed and thought out with the best of living in mind! 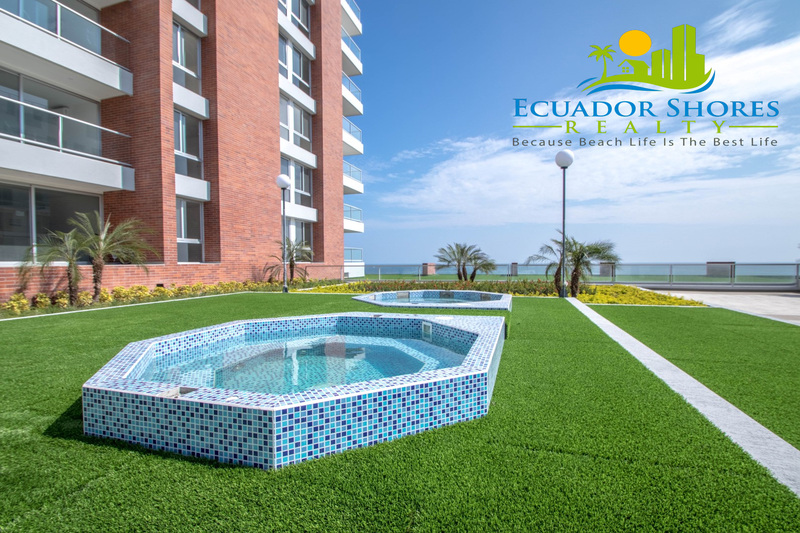 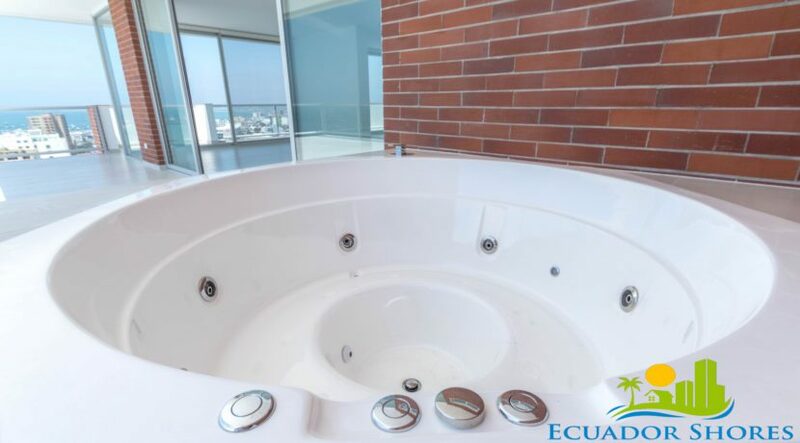 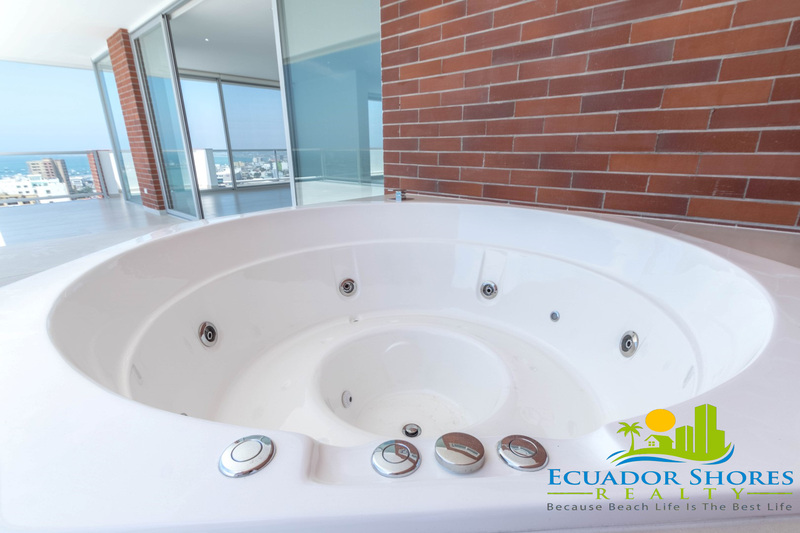 Even the oversize terrace offers you a large 8 person Jacuzzi to sit back, relax, and enjoy the dream life! 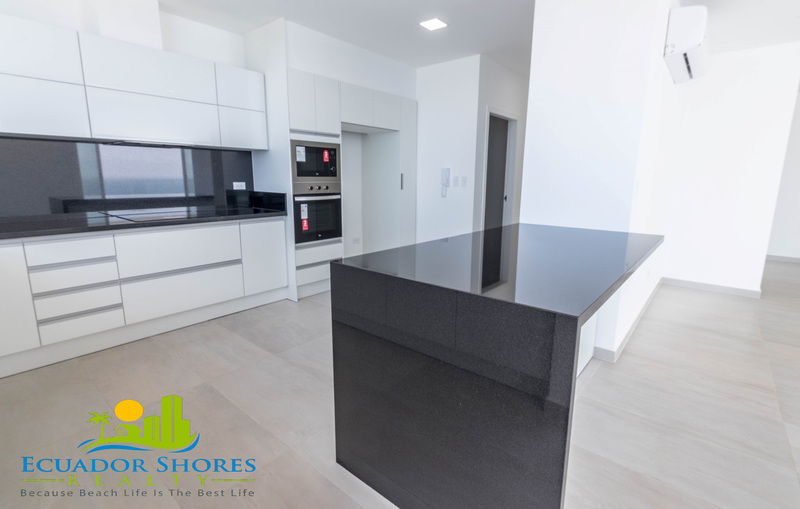 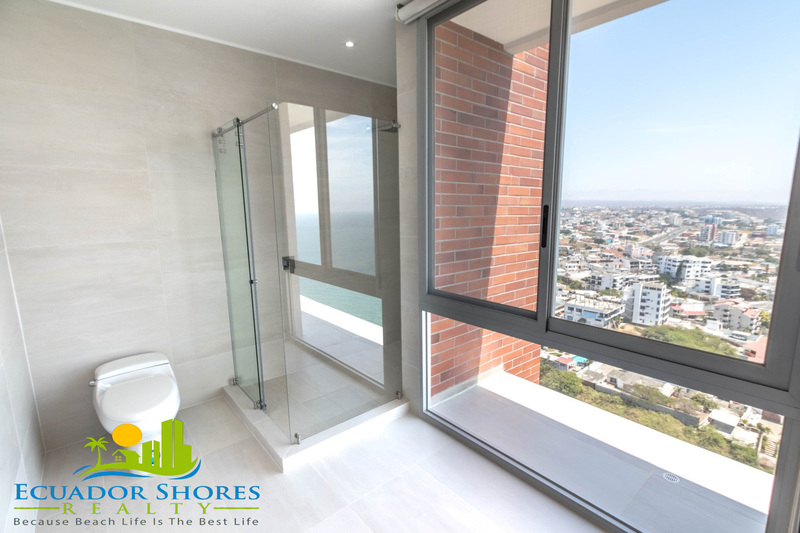 Walking through your new Penthouse you can’t help but have your mouth wide open and repeatedly saying “WOW”! The Penthouse boasts large open spaces, gourmet kitchen, private bathrooms in every bedroom, tons of natural light, and more! The master bedroom even offers you your own personal private balcony for more coffee or personal relaxation! 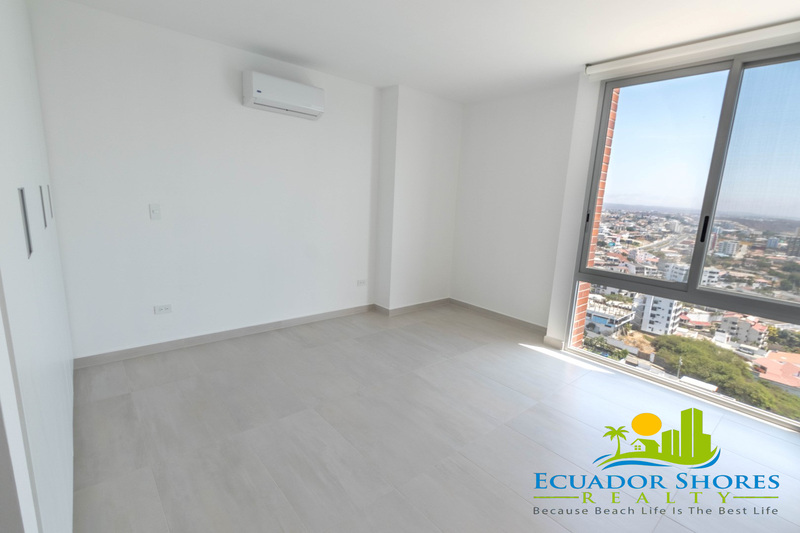 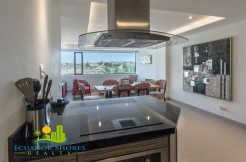 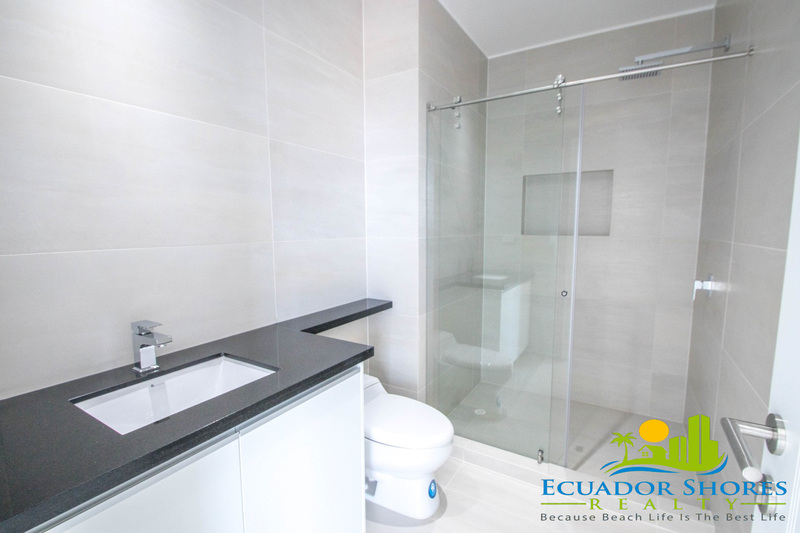 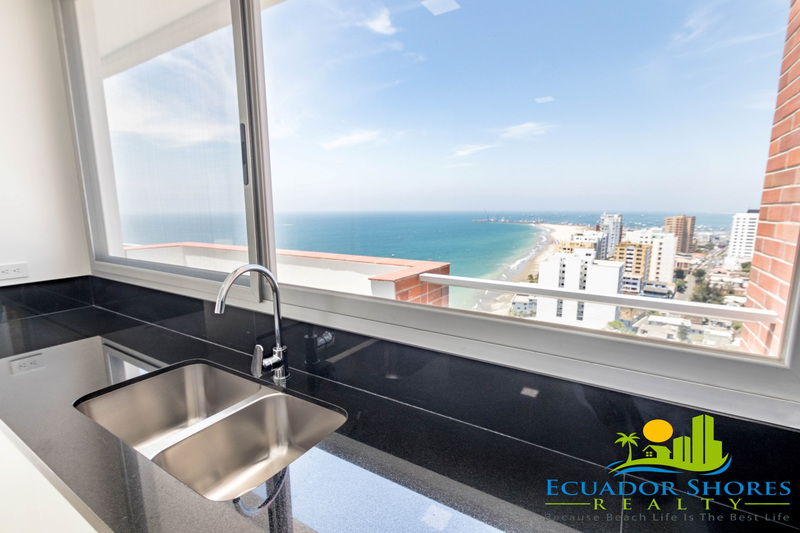 This Penthouse also comes equipped with custom upgraded floor tiles, curtains, cook top, oven, microwave, glass shower doors, and AC units! 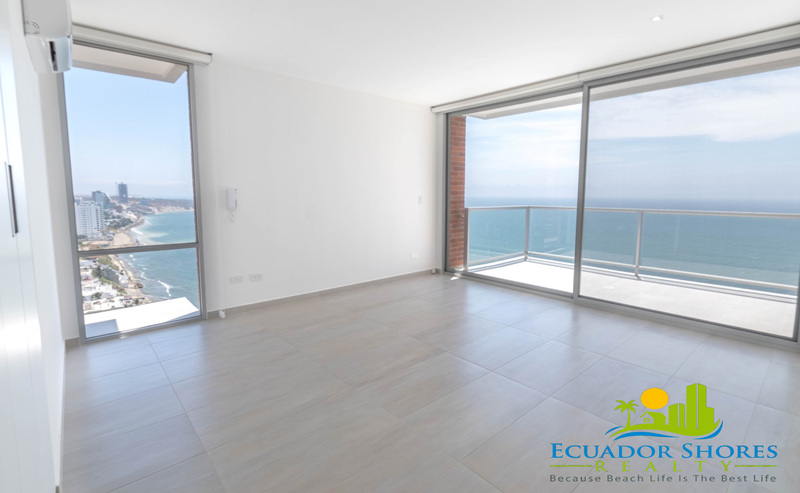 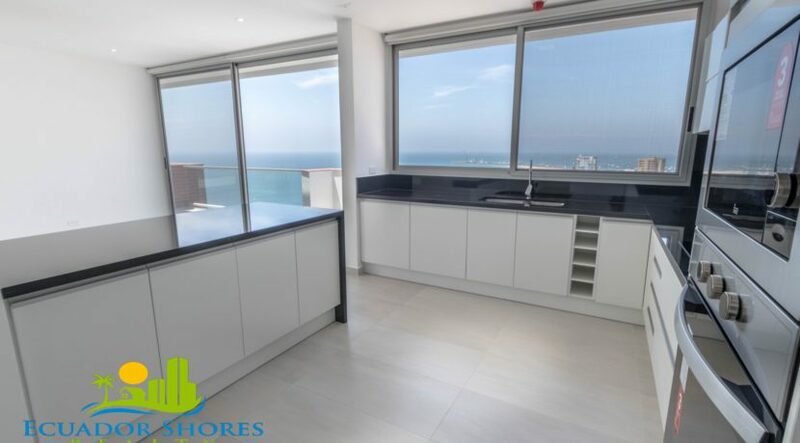 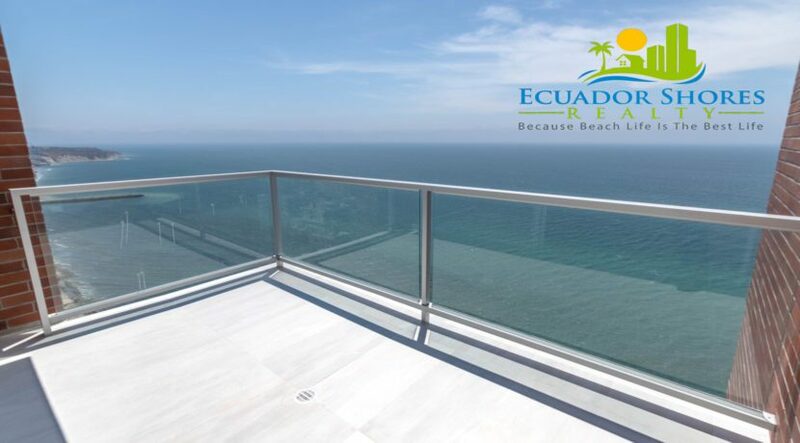 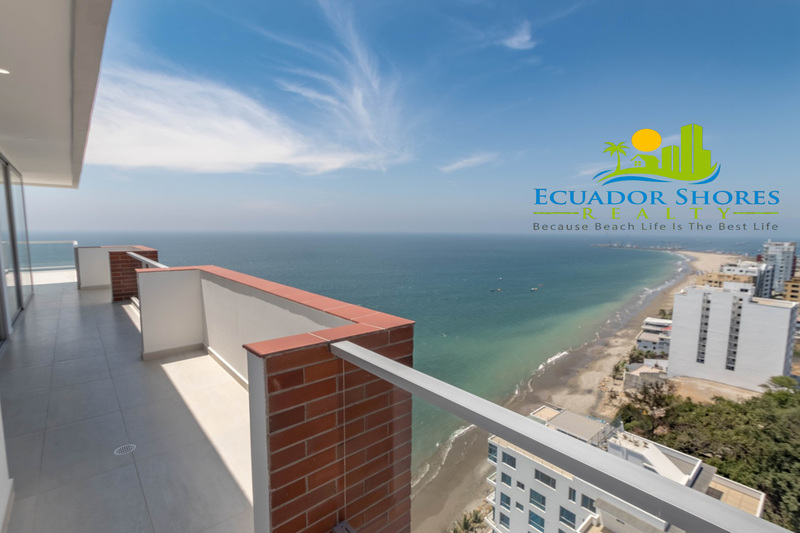 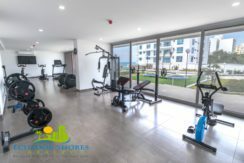 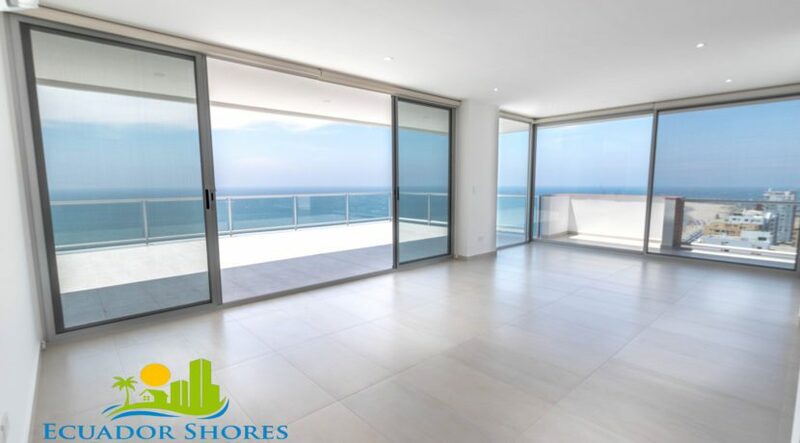 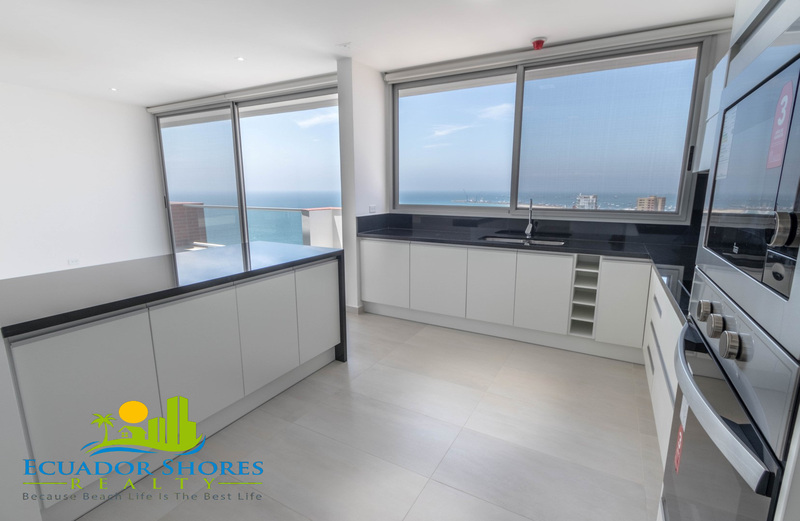 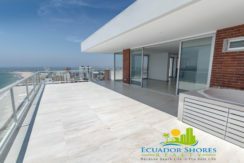 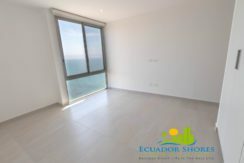 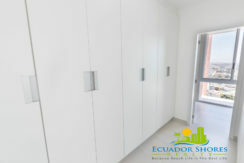 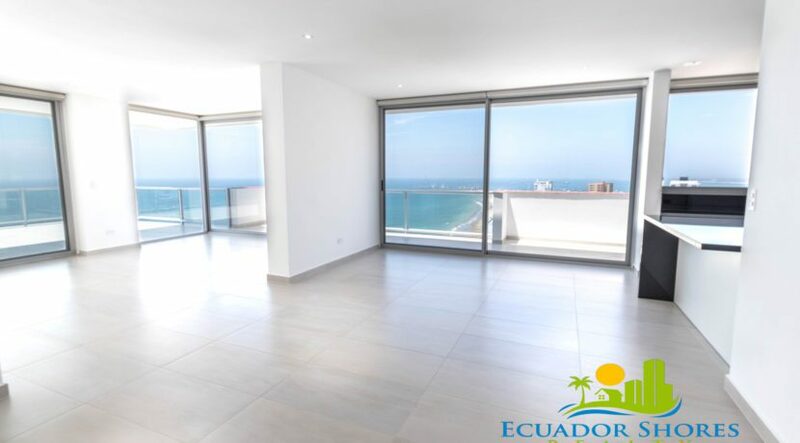 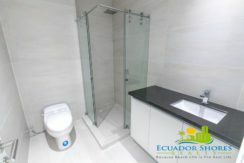 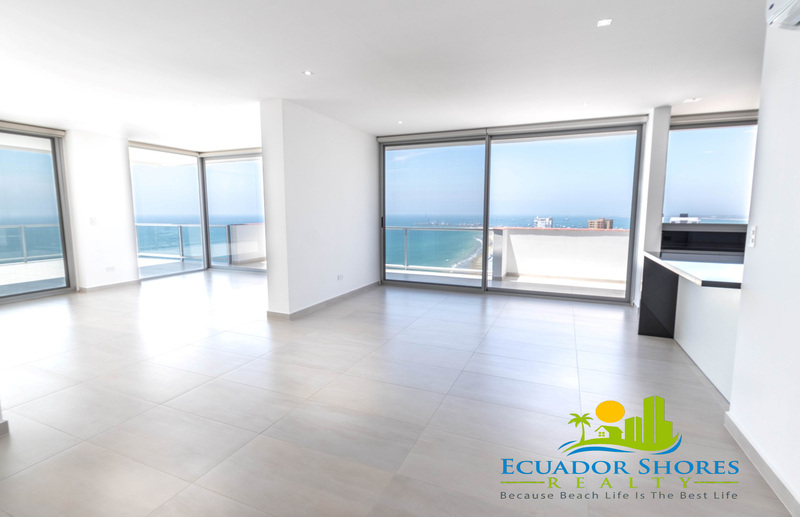 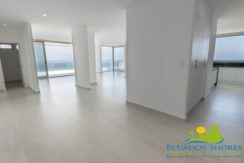 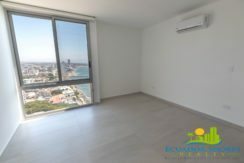 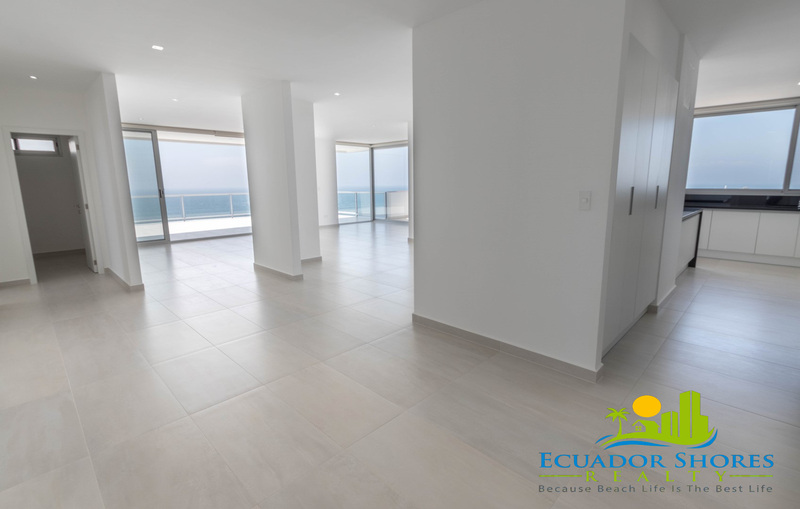 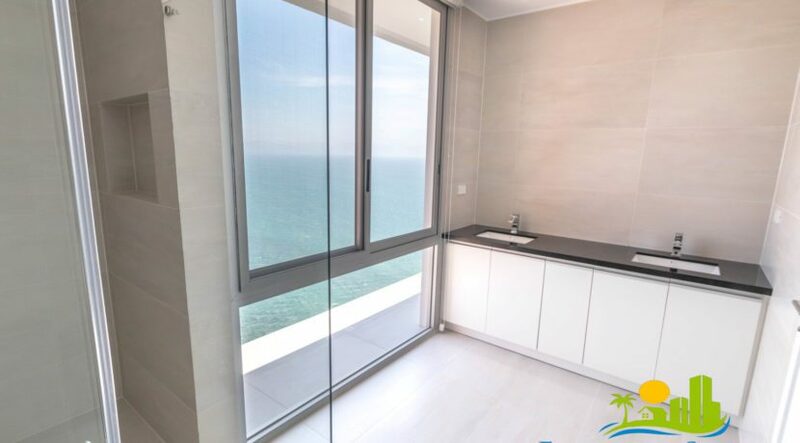 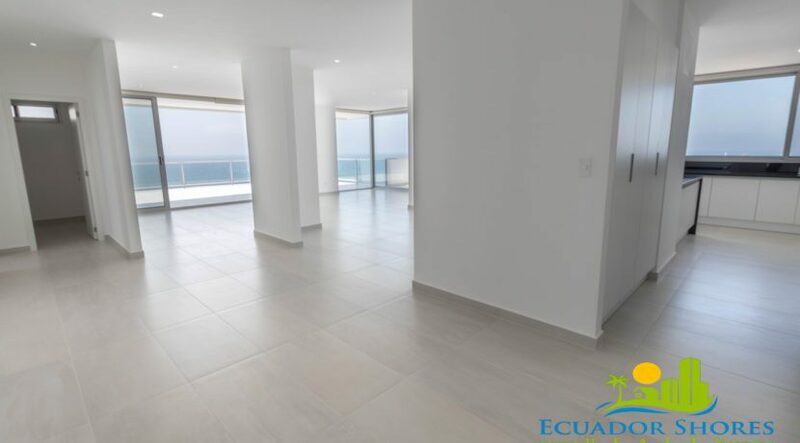 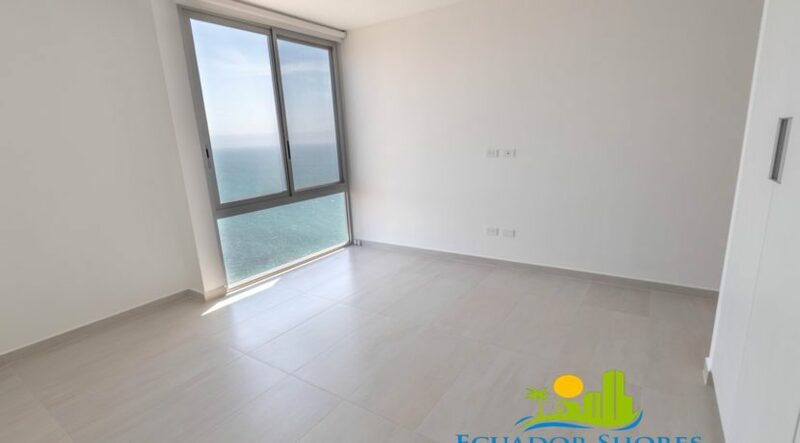 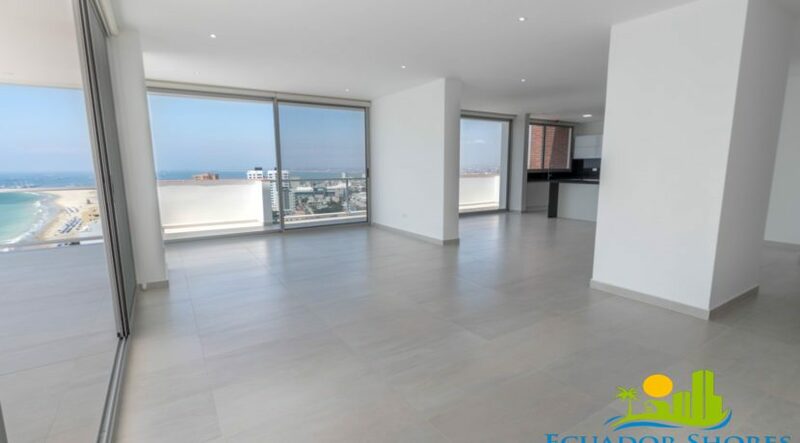 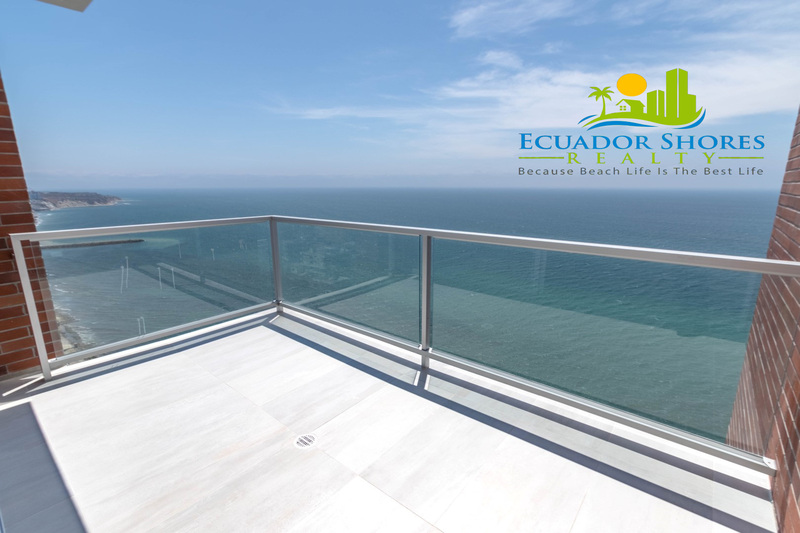 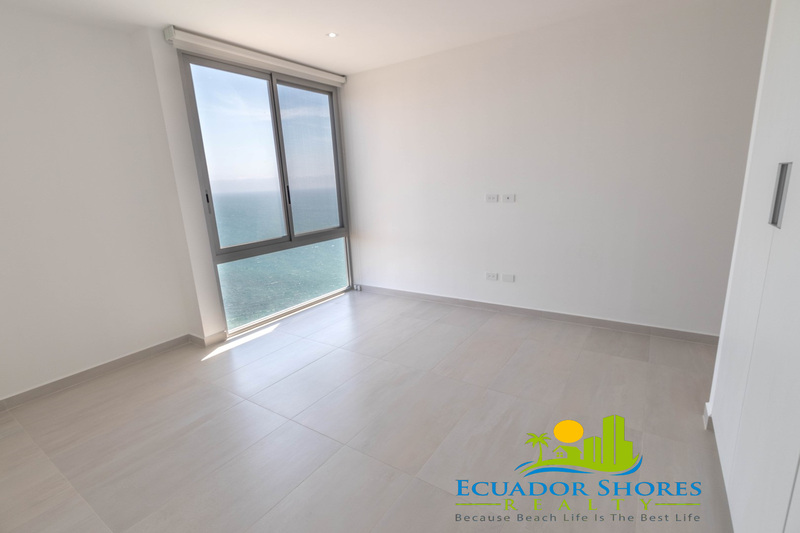 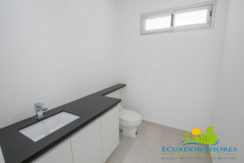 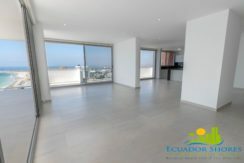 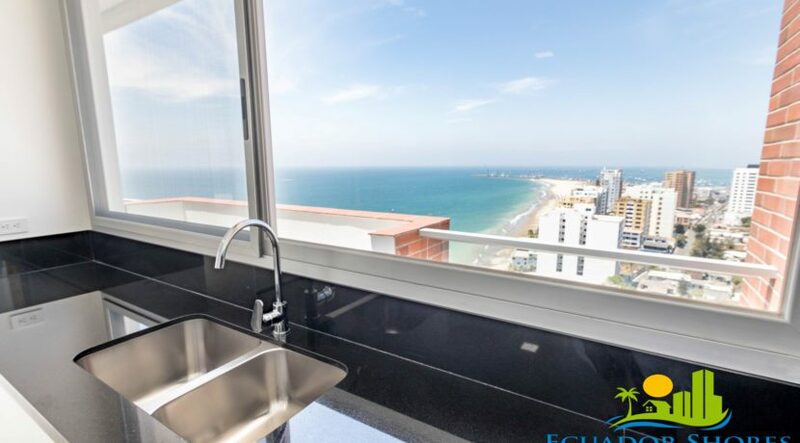 If you are looking for the very best in a new construction Penthouse here on the Manta coast, this is the only choice! 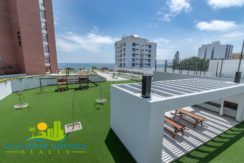 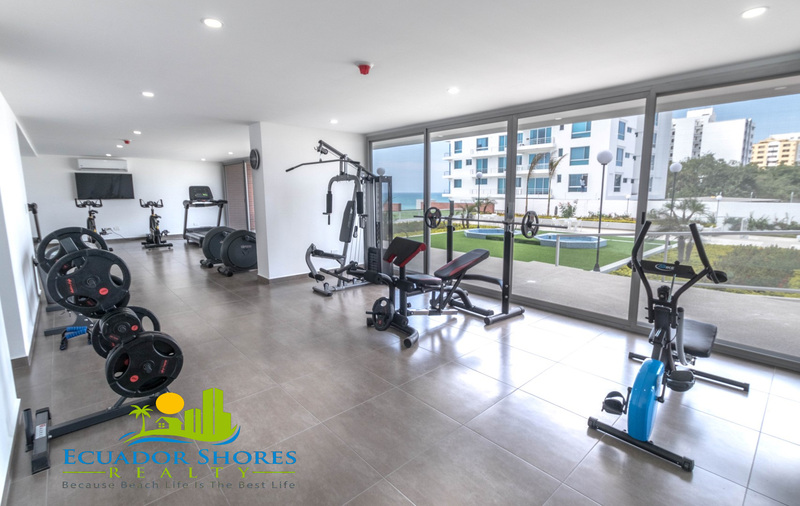 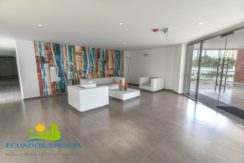 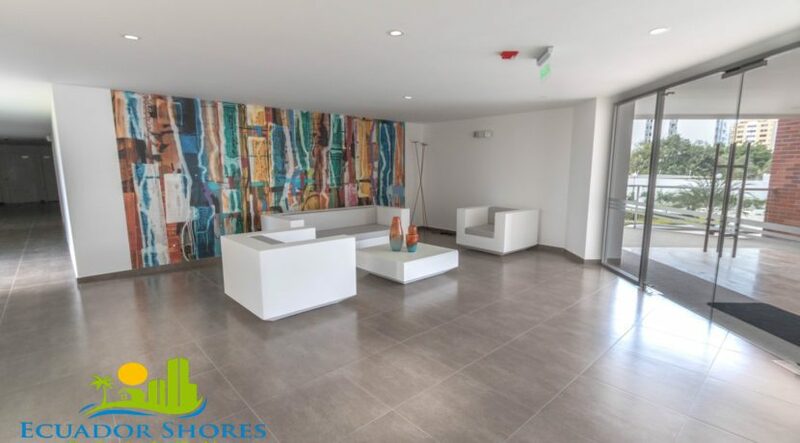 The Ibiza is comprised of 74 condo units including 5 two level beachfront duplexes, but is the amenities that really set the Ibiza apart from the rest! 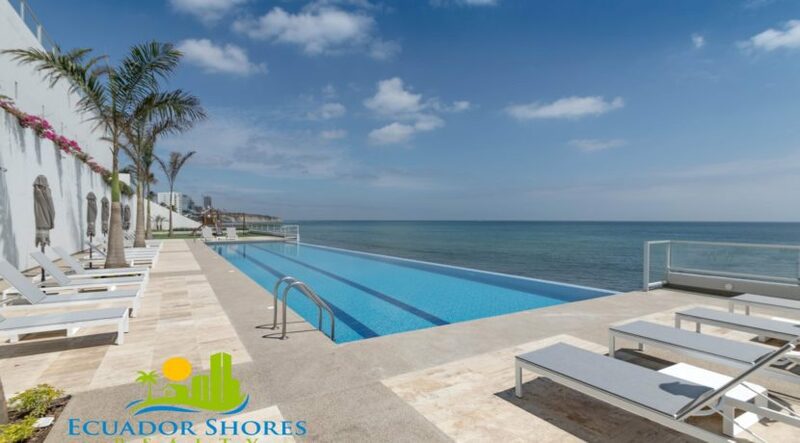 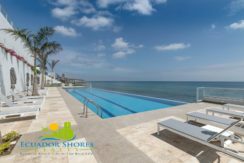 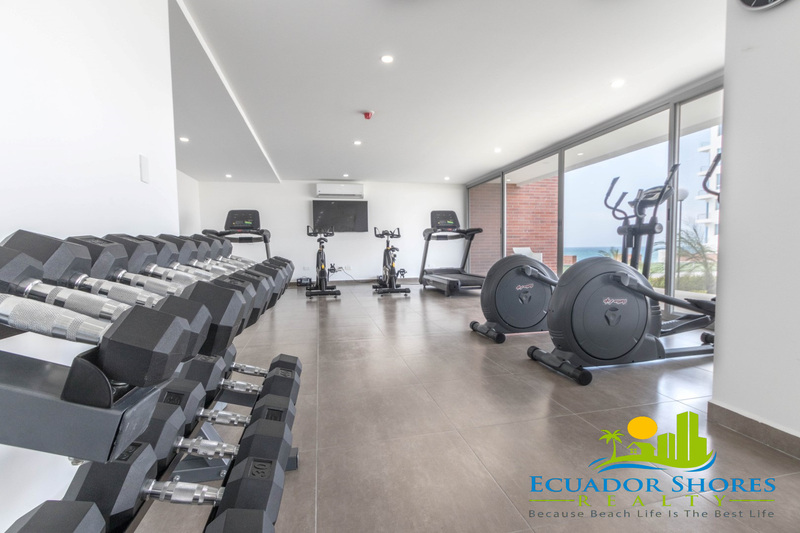 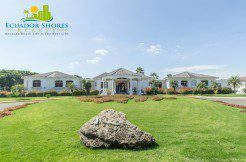 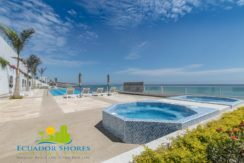 Offering you all kinds of activities including private beach access, tennis, full gym, outdoor BBQ area, full backup generator, children’s pool & playground, 4 different Jacuzzi, a large lap pool, and the longest oceanfront infinity pool in the area!! 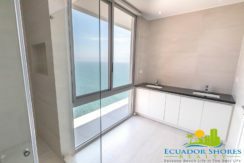 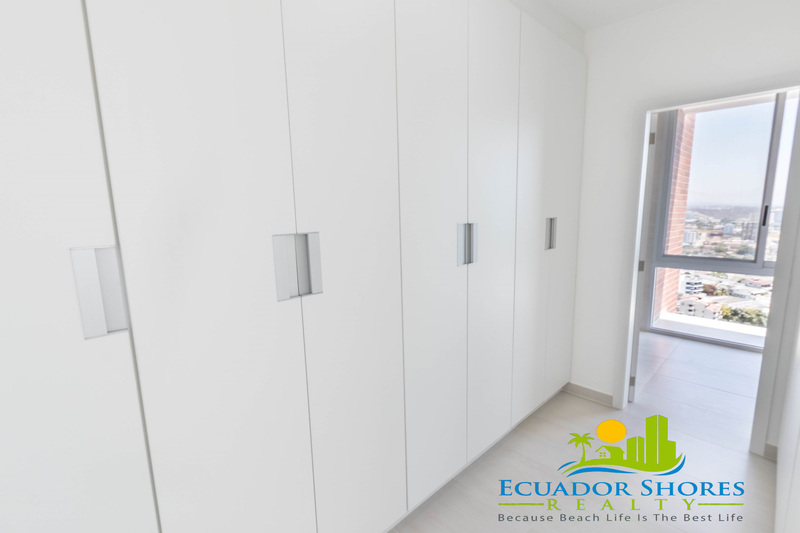 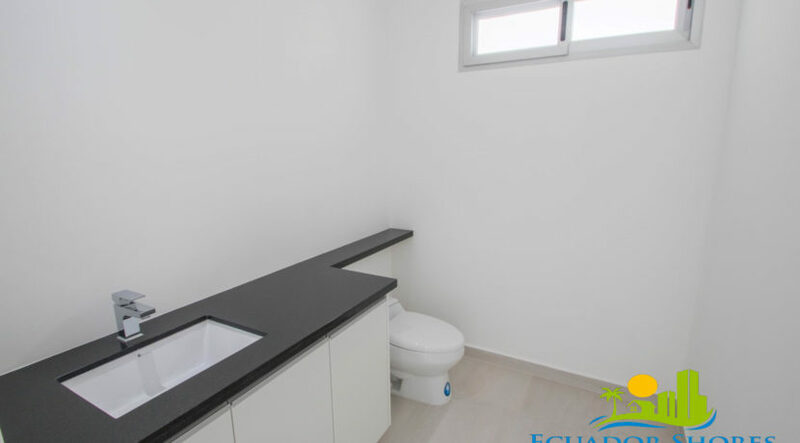 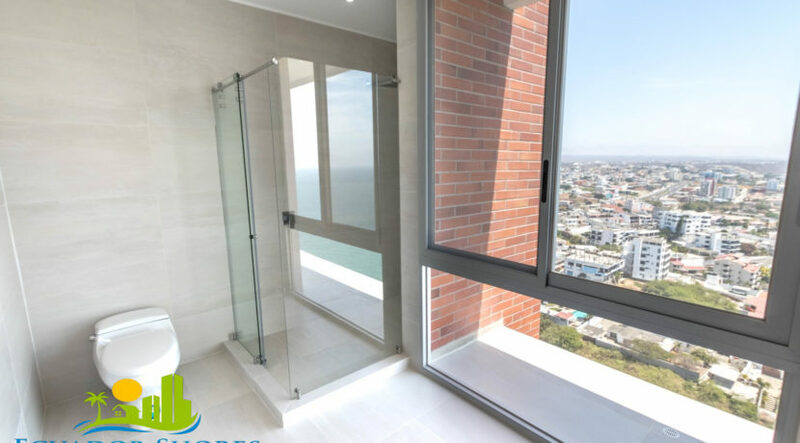 Each unit incorporates décor amenities such as granite, imported porcelain tiles, built in cabinet spaces for appliances and even custom window shades. 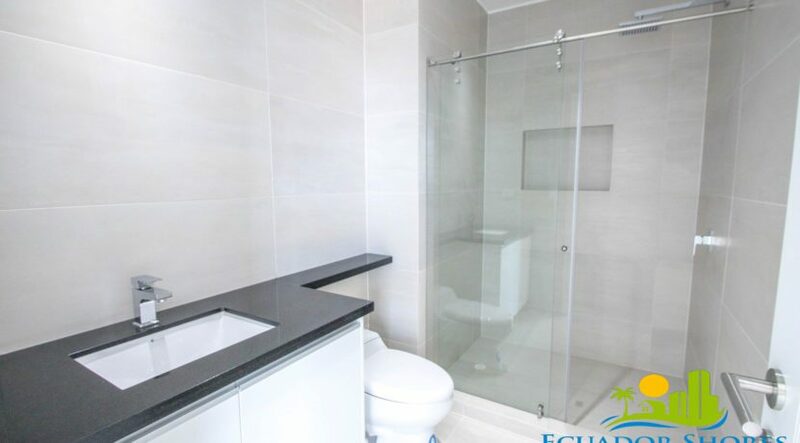 The attention to detail is easily seen throughout the building and in every unit, making this a sure winner! 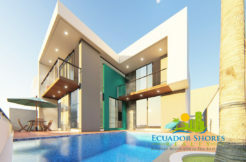 This beautiful new project is located within an exclusive gated neighborhood, and within walking distance to the new luxury shopping mall, pharmacies, and some of the best restaurants in the area. 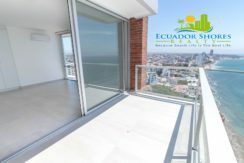 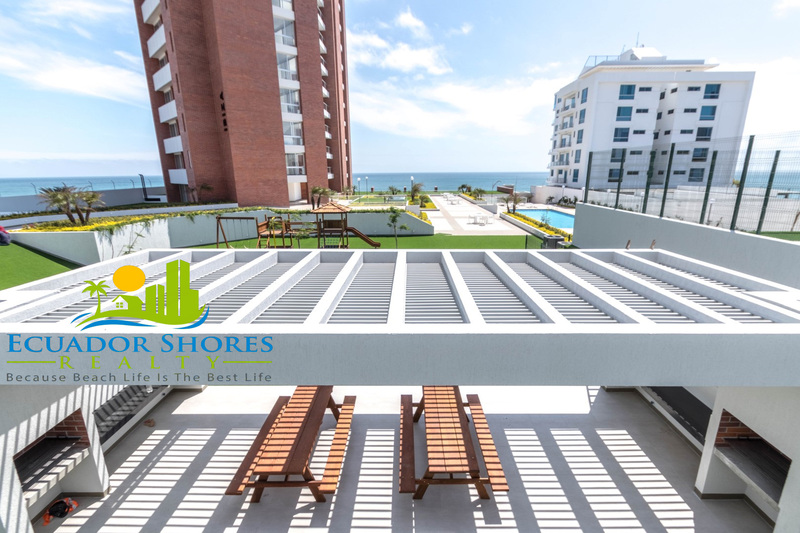 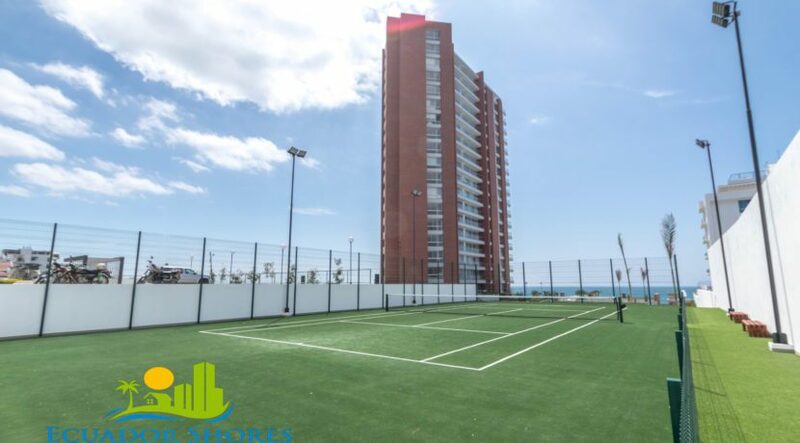 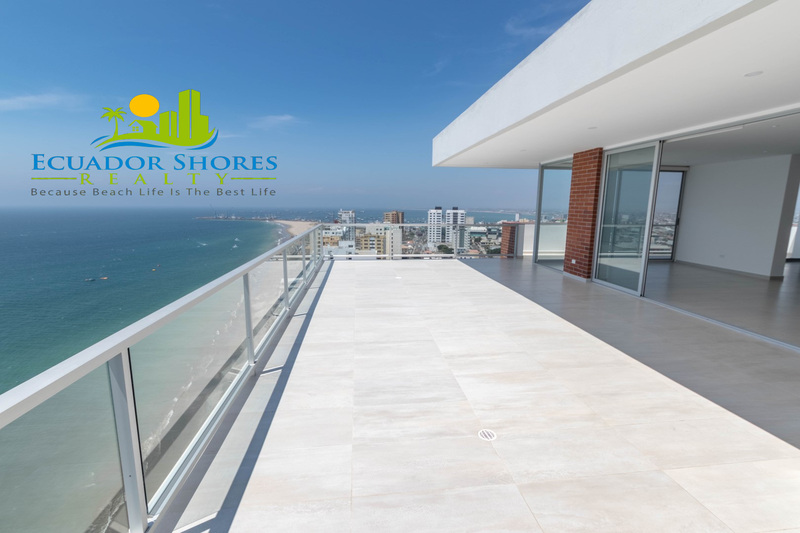 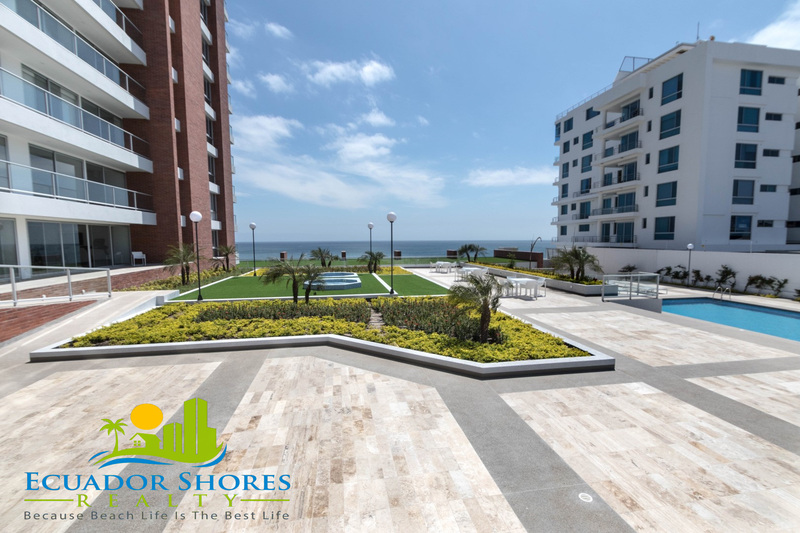 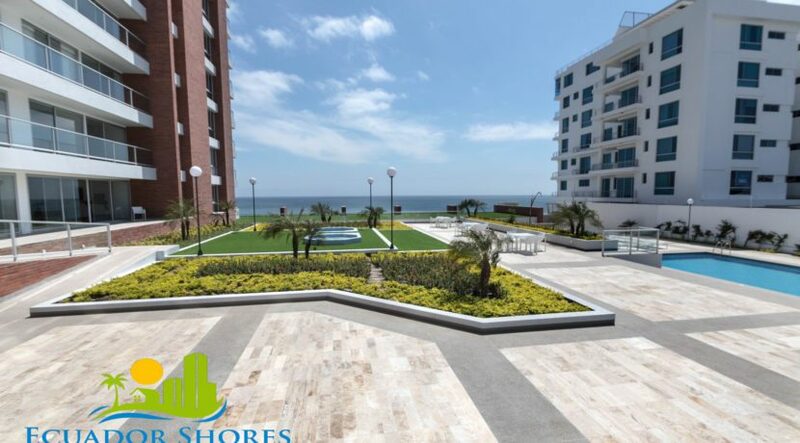 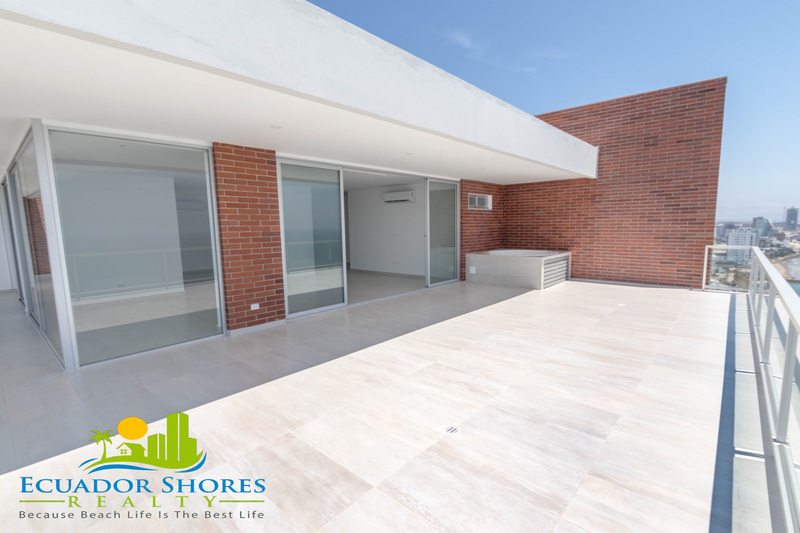 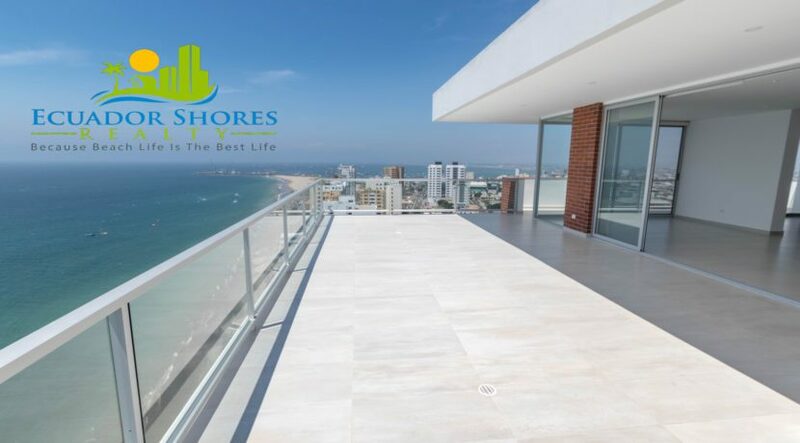 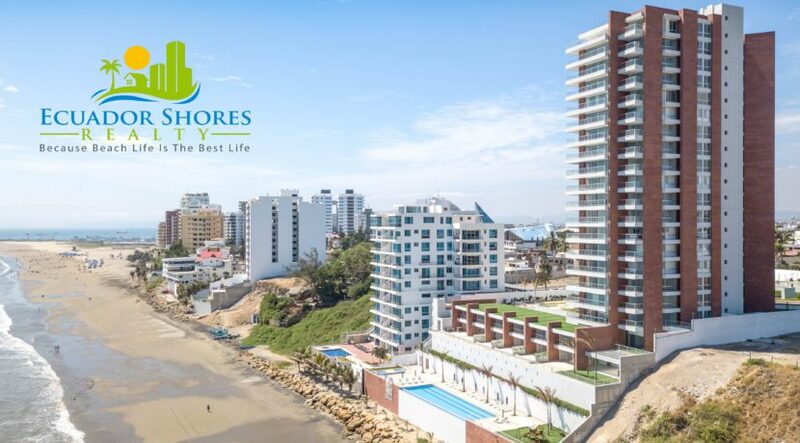 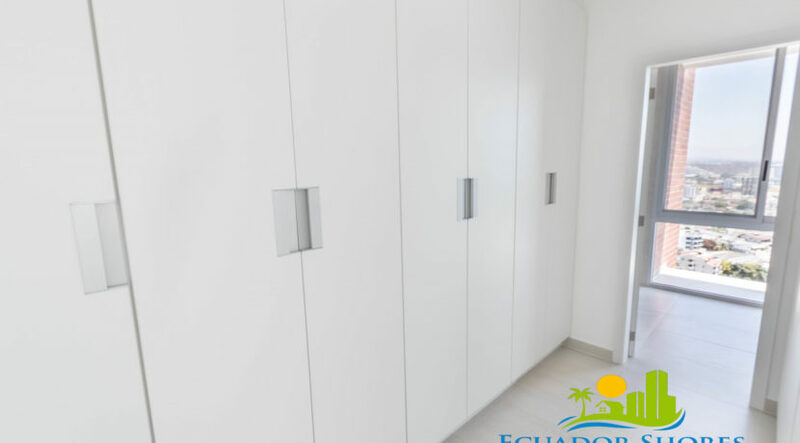 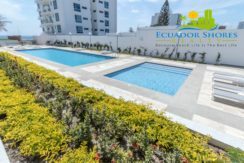 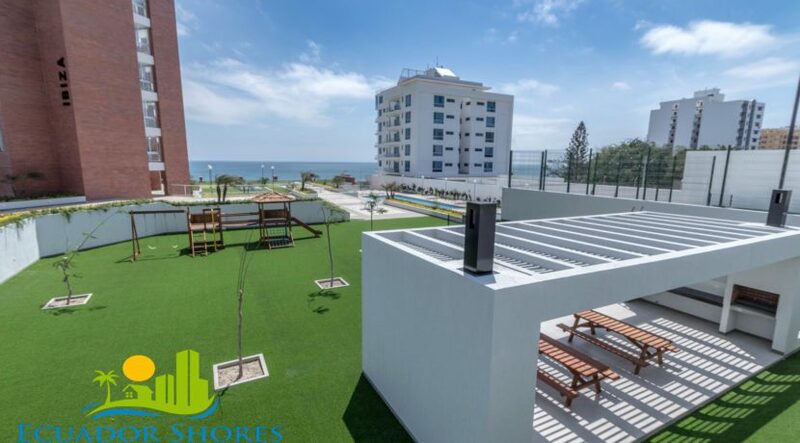 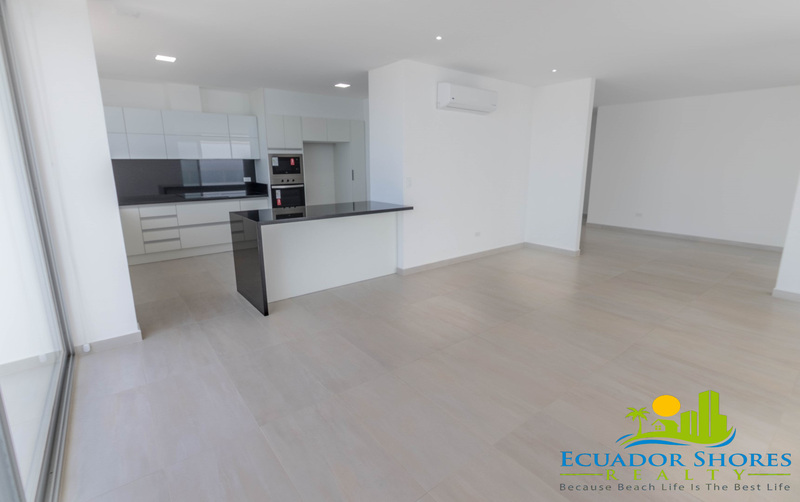 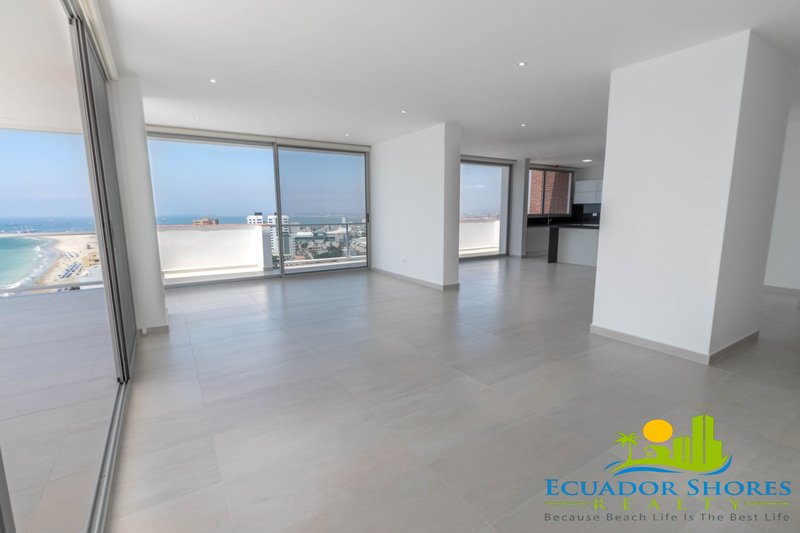 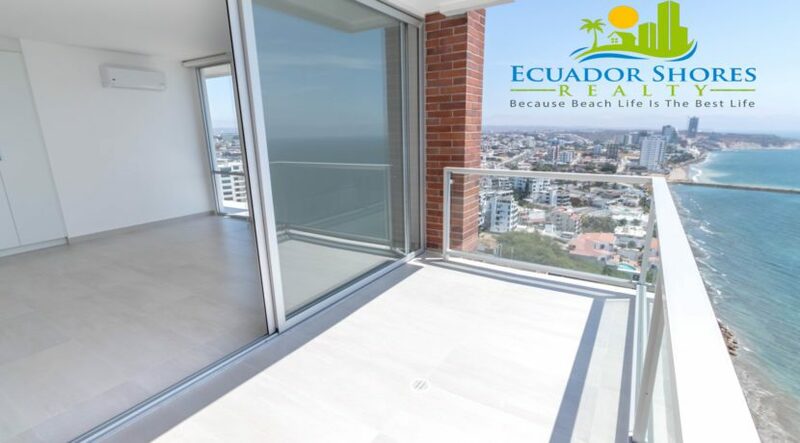 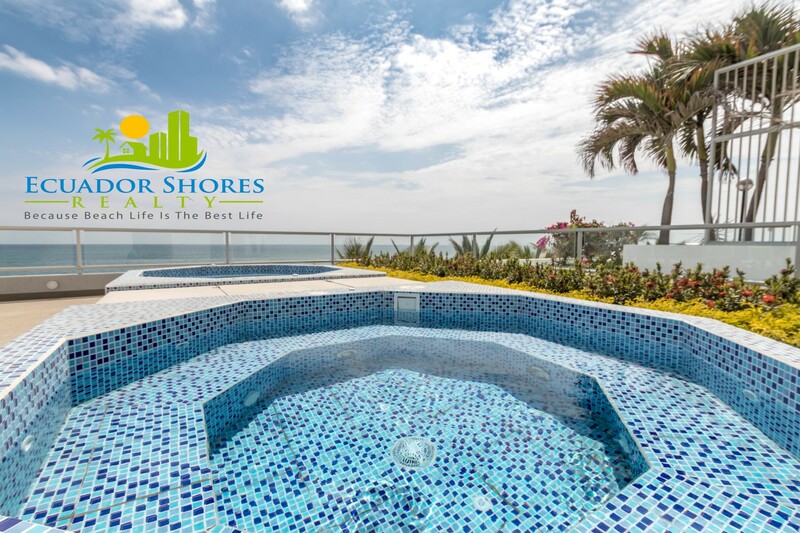 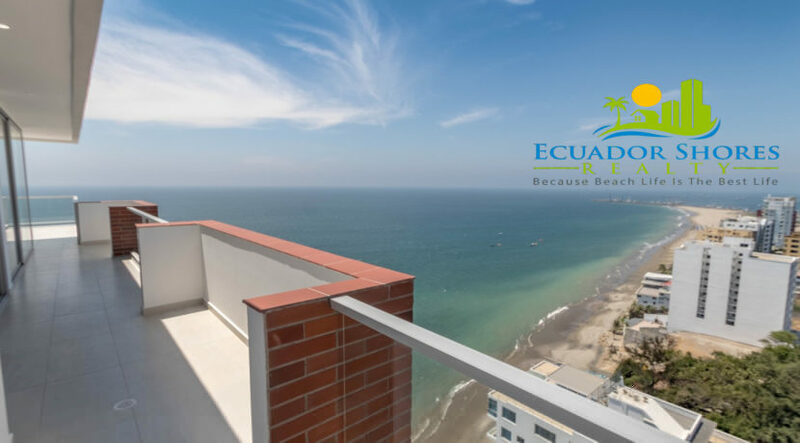 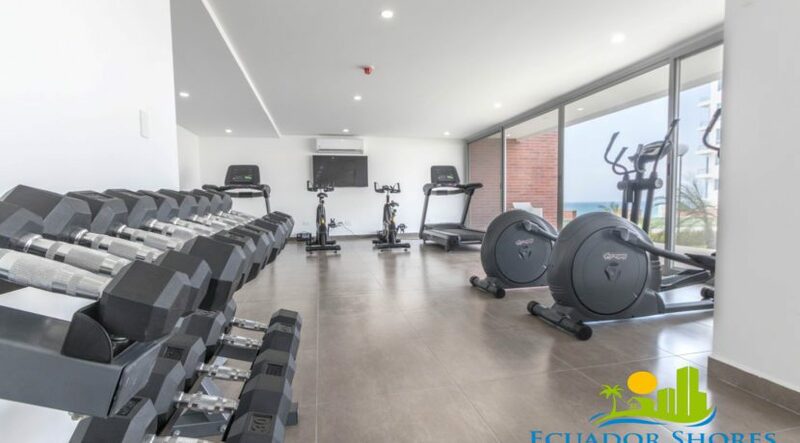 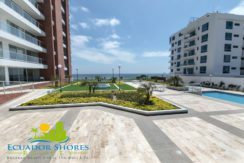 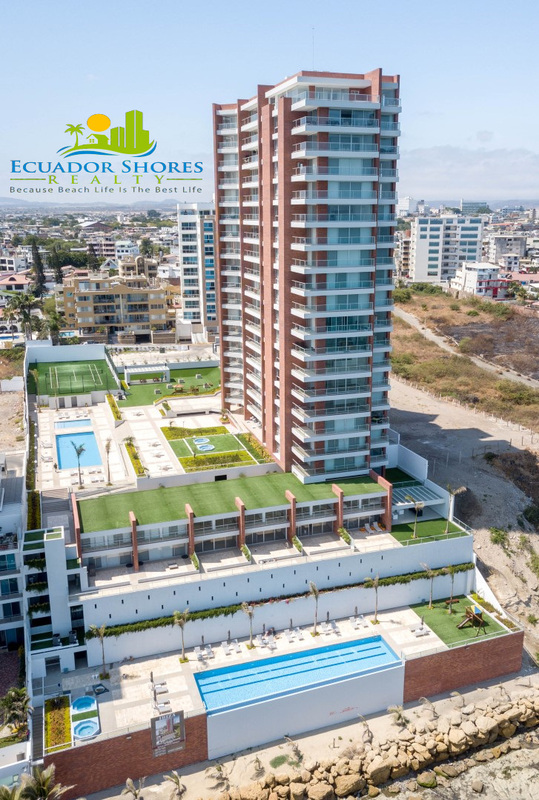 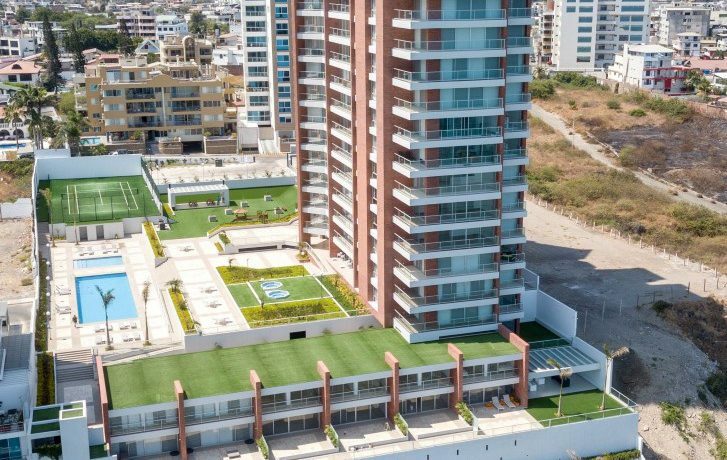 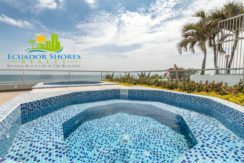 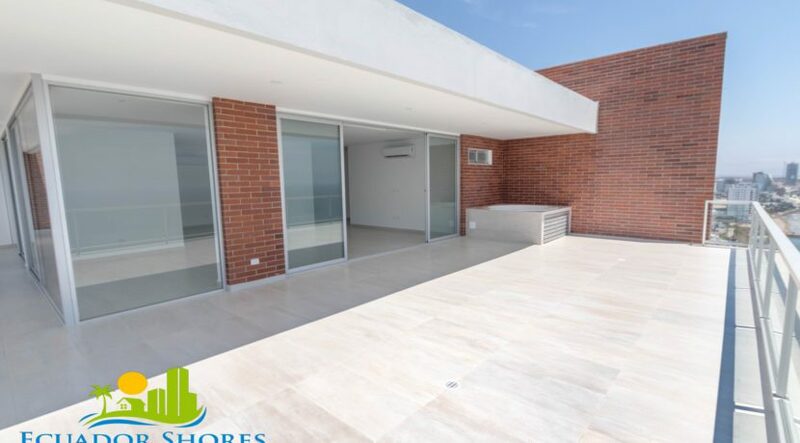 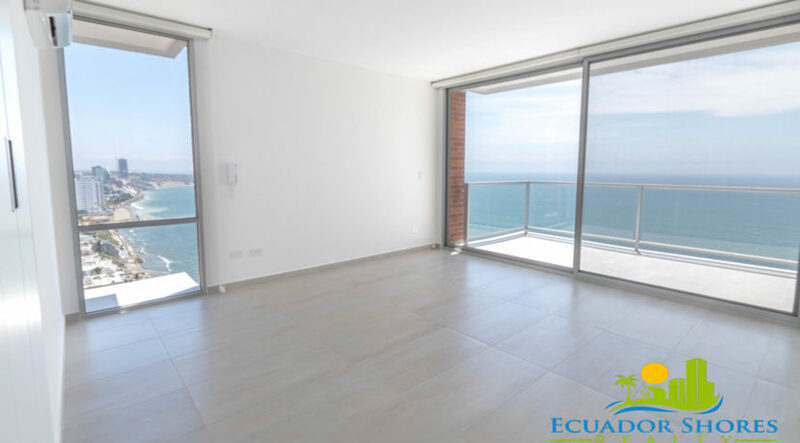 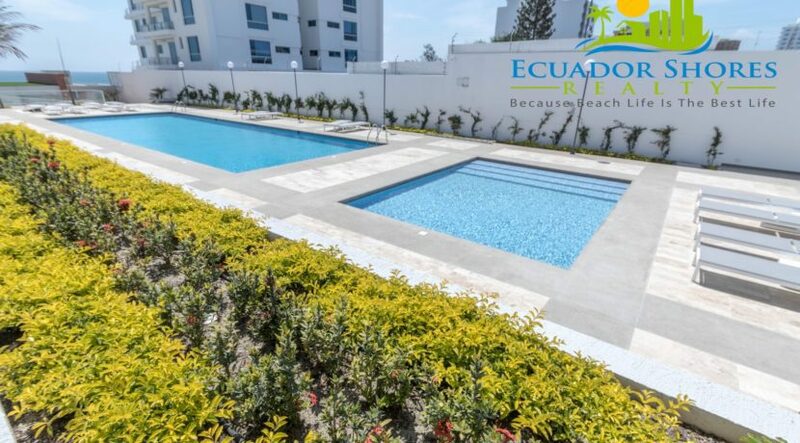 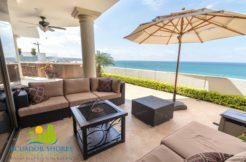 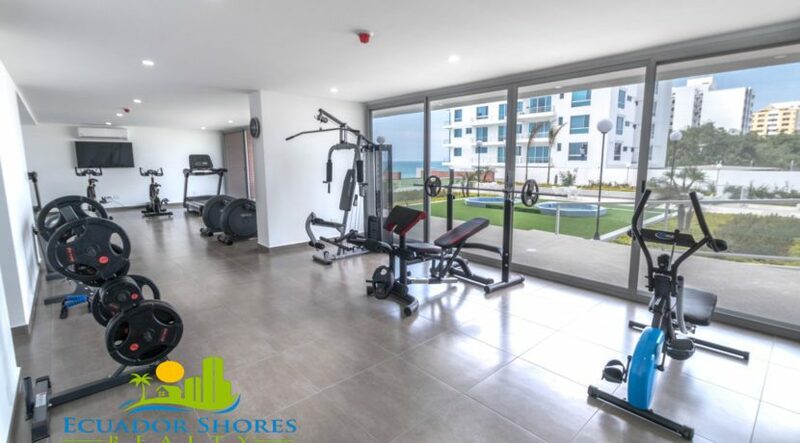 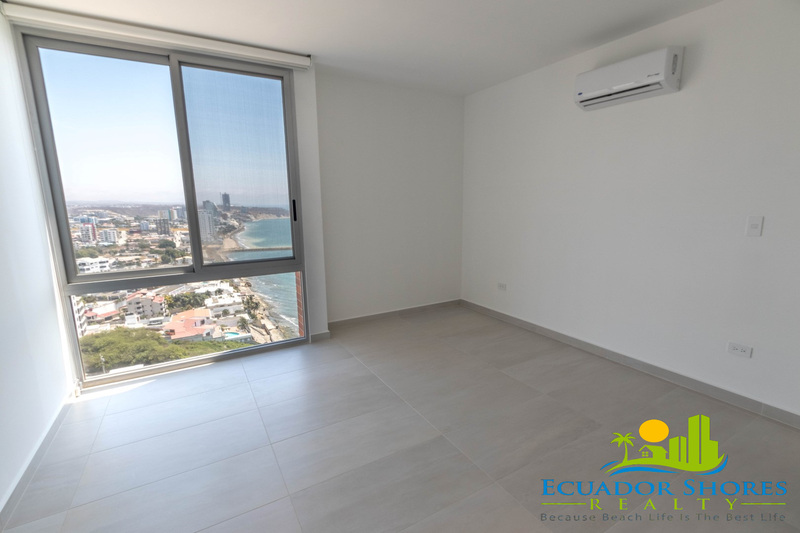 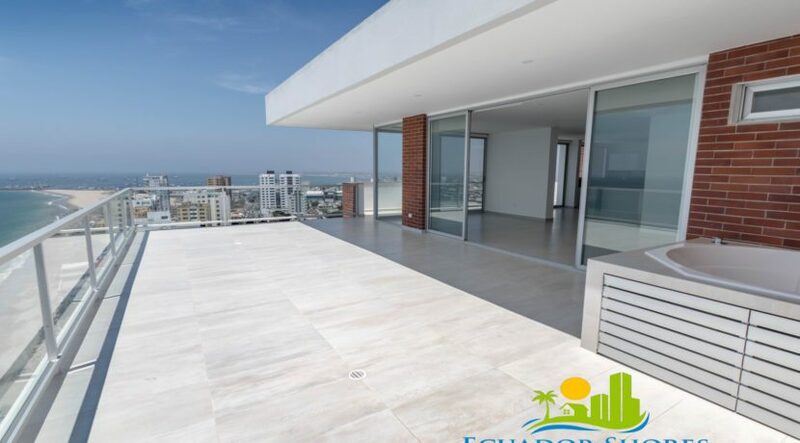 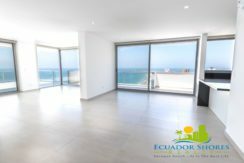 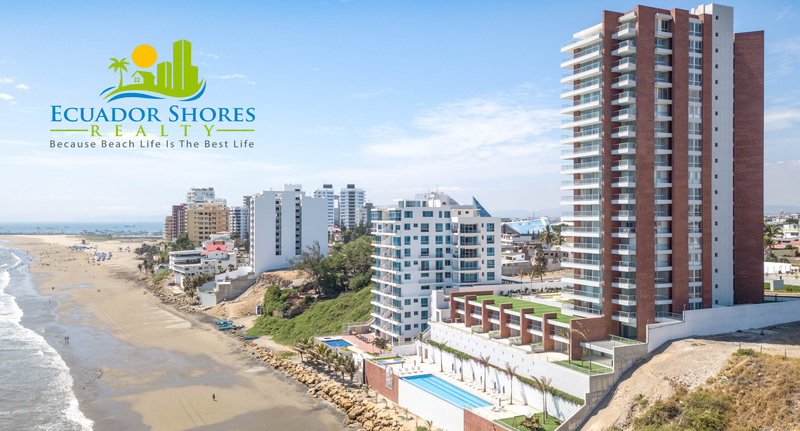 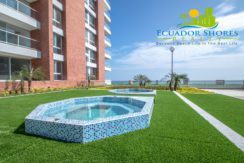 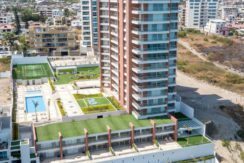 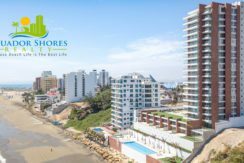 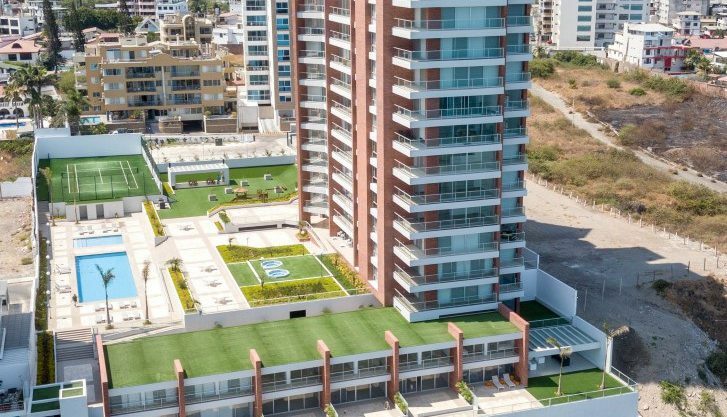 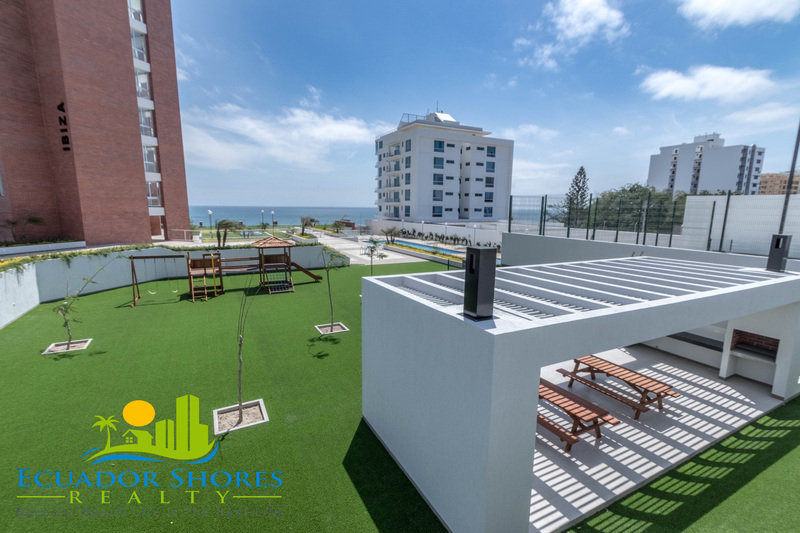 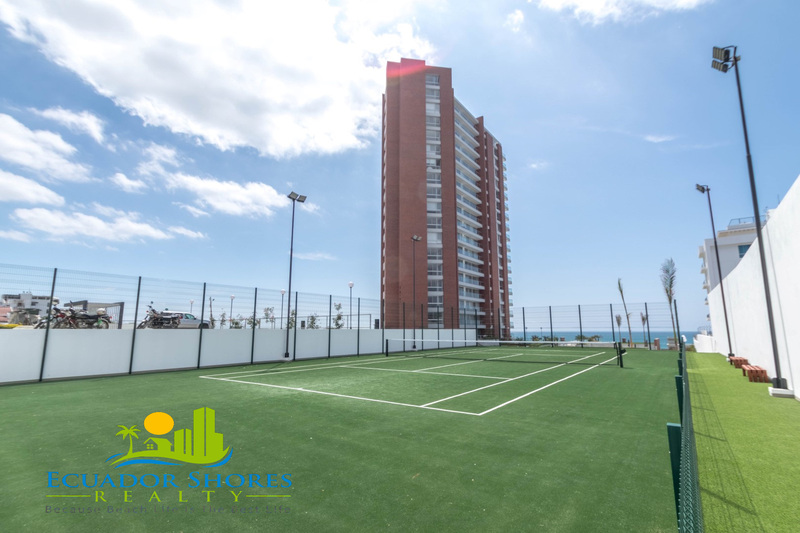 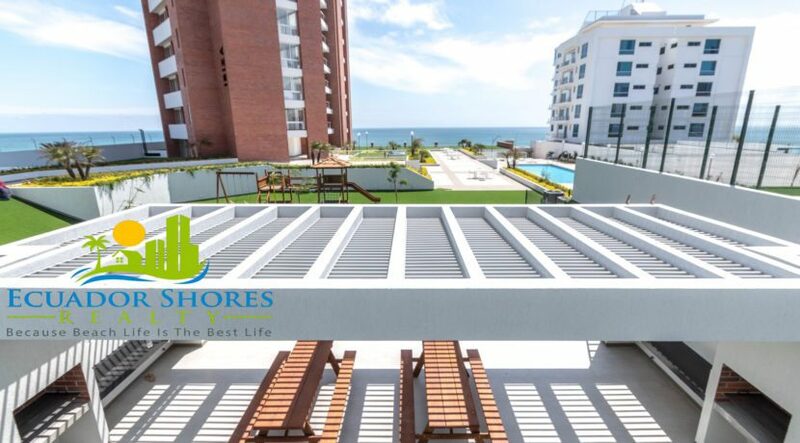 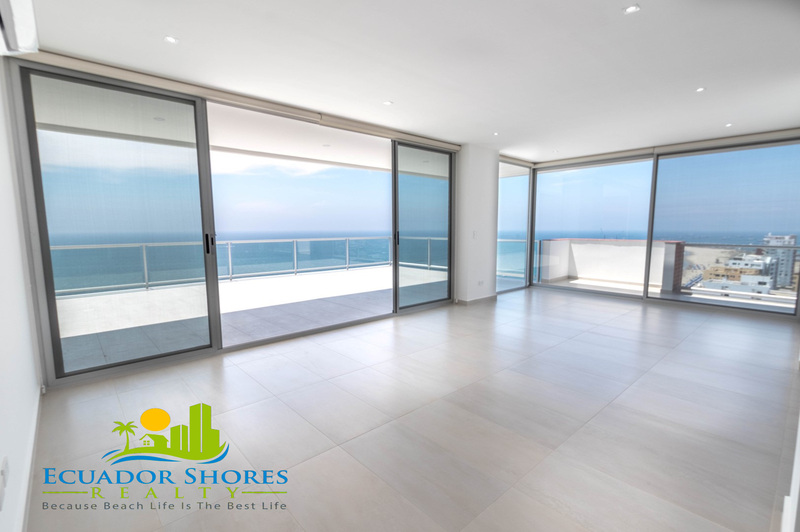 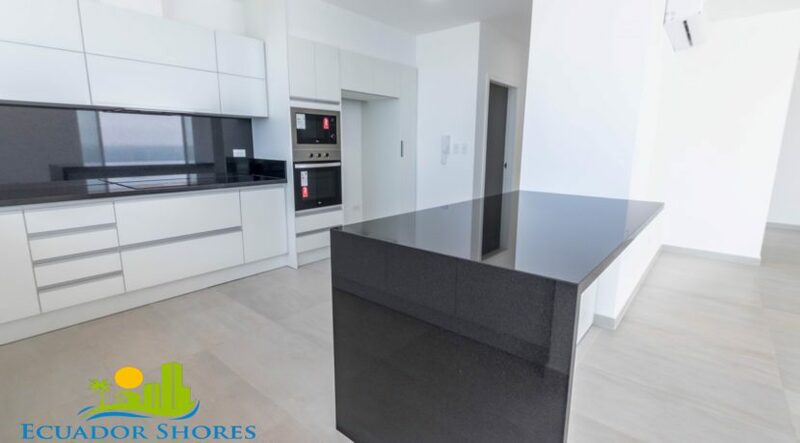 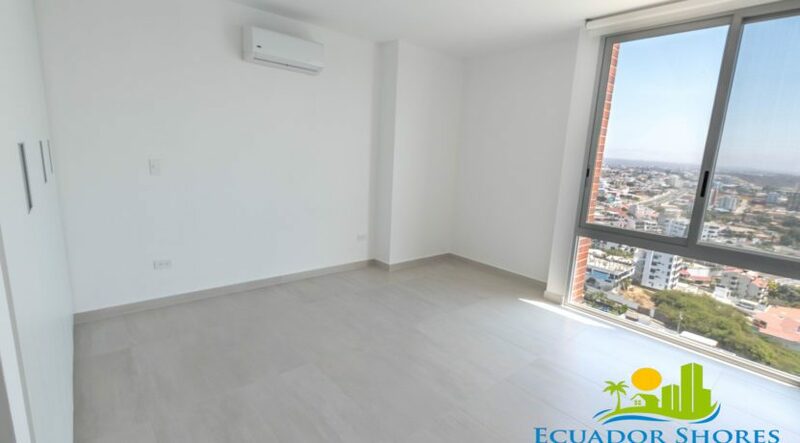 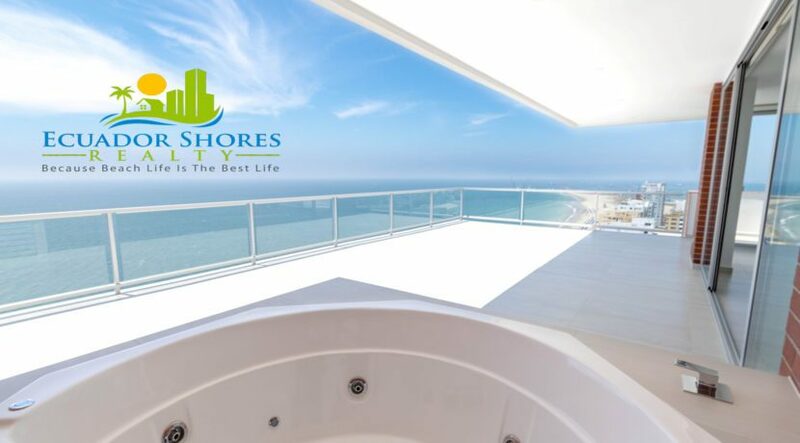 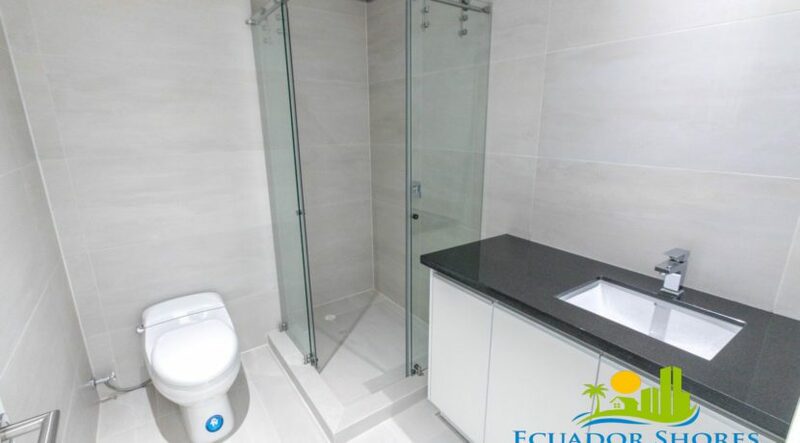 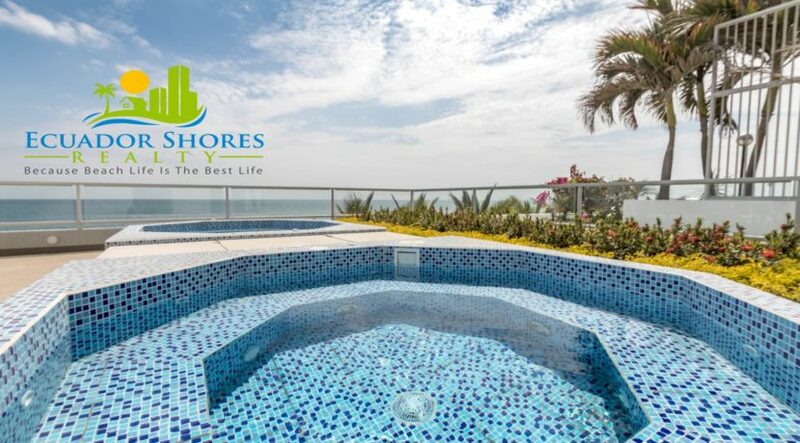 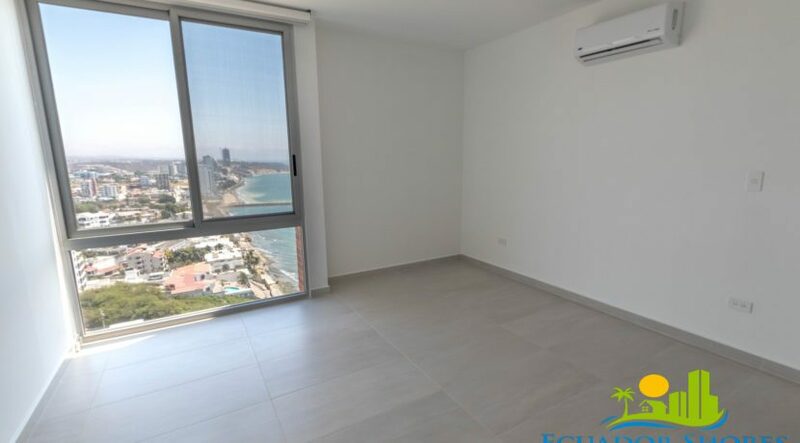 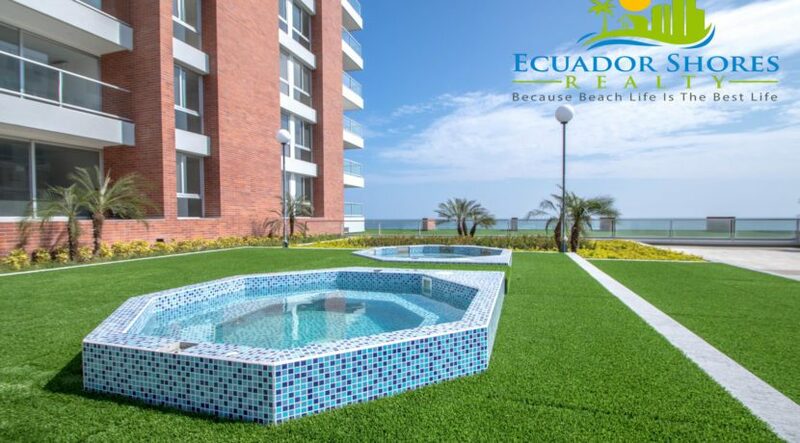 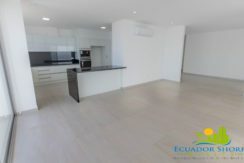 Ecuador Shores Realty has recently sold more Ibiza condos than any other expat agency in the city and we continue to lead the pack in exclusive listing options here at the Ibiza! We currently have 2 and 3 bedroom units available as well as two of the beachfront duplexes while they last! Contact us right away for more information on this exciting new luxury project and we look forward to showing you all that the beach life has to offer!